Home / Blog / Benefits / 3. We will prepare a concise list of the facts of your situation that you can take to other attorneys if we are not a good fit as your attorneys. 3. We will prepare a concise list of the facts of your situation that you can take to other attorneys if we are not a good fit as your attorneys. If we are not a match for you as an attorney, we will send you a copy of the notes we prepared during our interview. It will list the facts of your situation. You can then use these if you would like to interview other attorneys when we are not a good fit as your attorney. 1. We will go over all of the legal issues you face. 2. We will go over the Defenses and Options that you have. 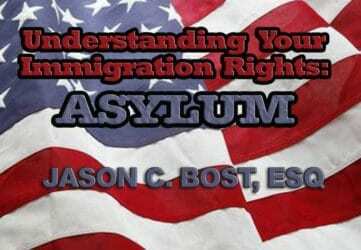 Do I Qualify for Asylum in the US?